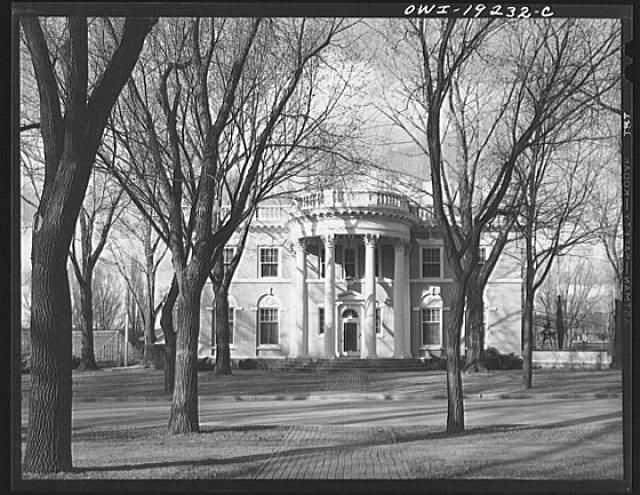 This photo is of the Second New Mexico Governor’s Mansion in 1943. This mansion was used from 1870 until the new Governor’s mansion was built in 1954. The first mansion was located at what is now the Palace of the Governors. The photo was taken by John Collier Jr. and is part of the Farm Security Administration Collection at the Library of Congress.